Welcome to Skin Vitality Medical Clinic’s location in St. Catharines! This location is our sixth in Canada, offering the same fantastic services that you’re accustomed to at our other locations in Southwestern Ontario. Botox and Juvéderm injectable treatments are two of the most popular non-invasive skin treatments in the world, and we’re proud to perform more of these treatments than any other provider in Canada! We also perform more of these popular body contouring treatments than only other provider in the country: CoolSculpting, Fraxel, Venus Freeze and Venus Legacy. You can count on our doctors and nurses to achieve the results you want, based on their experience treating thousands of patients every year. Directions: Skin Vitality St. Catharines is located south of the 406. Take the Regional Road 77 W exit to Fourth Ave/Regional Road 77, then turn left onto Vansickle Rd. Skin Vitality St. Catharines is our sixth location in Ontario. St. Catharines is a beautiful place, and we’re proud to have become part of the vibrant, laid-back community. Visit us and see why we’re one of the top five medical clinics in the country to offer Botox and injectable fillers! 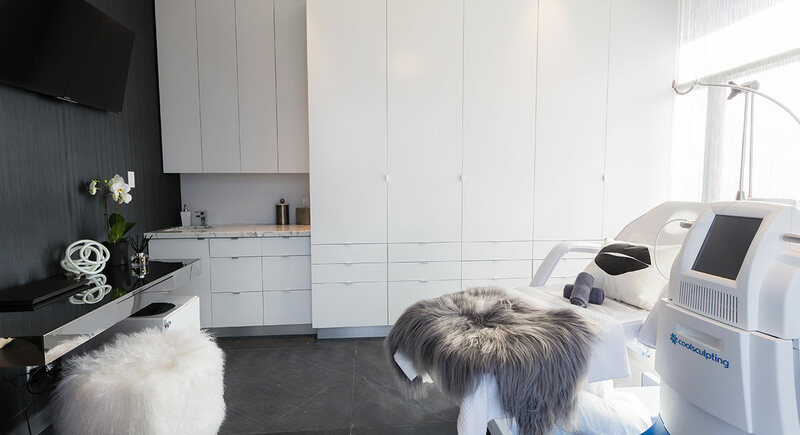 Our medical staff have been extensively educated and trained to customize your beauty solution, enabling you to achieve a transformation that will WOW everyone you know – without looking unnatural. With a highly skilled touch, our injectors and medical aestheticians perform a range of nonsurgical medical aesthetic treatments. Contact Skin Vitality in St. Catharines at 1 (877) 356 7776 or 905-682-7077. St. Catharines is one of the most attractive cities in Canada. As the largest city in the beautiful Niagara Region, “The Garden City” is home to a staggering 1,000 acres of lush parks, romantic gardens and inviting trails winding along rolling hills. But its charm isn’t just reserved to its natural bounty – it is also an important halfway point between the Greater Toronto Area and the US border. As a result, manufacturing and telecommunications are primary industries, providing hundreds of thousands of residents stable employment. Skin Vitality is excited to serve “St. Cathariners”. We look forward to seeing you at our state-of-the-art aesthetic medical facility. Do you offer lip fillers? Yes, we offer lip fillers at our St. Catharines location. What kind of lip fillers do you offer? We offer the gold standard in lip fillers, Juvéderm St. Catharines. Where can I get BOTOX in St. Catharines? Visit us at Vansickle Heights, 436 Vansickle Rd #3. We’re the top provider of BOTOX in the city and country! What is the CoolSculpting St. Catharines cost? Please contact us to find out the pricing for this nonsurgical fat reduction treatment, as well as anything else on our pricelist. Don’t forget to ask about our specials! Where can I see CoolSculpting reviews? During your consultation, you’ll be able to see reviews as well as before and after photos of our clients. You’ll be amazed by the feedback and the transformations! Our medispa St. Catharines is located south of the 406. Take the Regional Road 77 W exit to Fourth Ave/Regional Road 77, then turn left onto Vansickle Rd. Do you offer PRP injection St. Catharines? Do you offer the latest in body contouring St. Catharines treatments? EMSCULPT Muscle Toning and Fat Burning is a revolutionary new treatment that tones your muscles and burns fat at the same time.